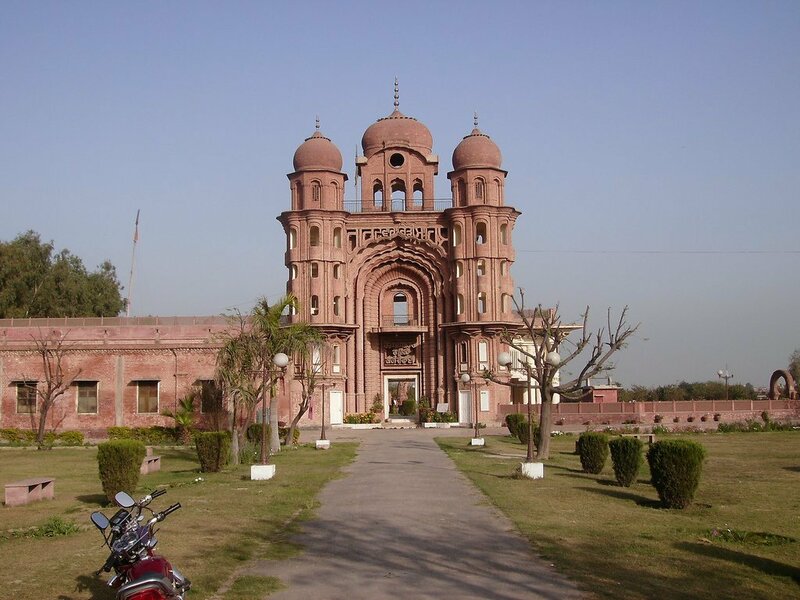 Eminabad, an ancient town in the Gujranwala district of Pakistan, used to be known as Sayyidpur or Saidpur during the time of Sri Guru Nanak Sahib Ji. 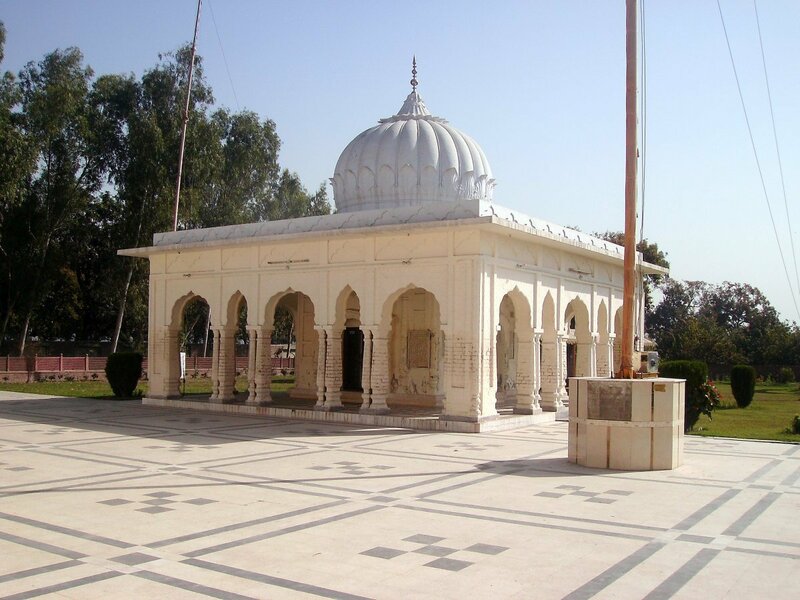 According to the Bhai Bala Janam Sakhi, after leaving Sultanpur and before setting out on his long travels, Guru Nanak, accompanied by Bhai Mardana, first visited Eminabad where Bhai Lalo, a carpenter by profession, became his Sikh. The Gurbani of Guru Nanak in the Sri Guru Granth Sahib Ji suggests that he was in Eminabad when the town was sacked by Babar in 1521. 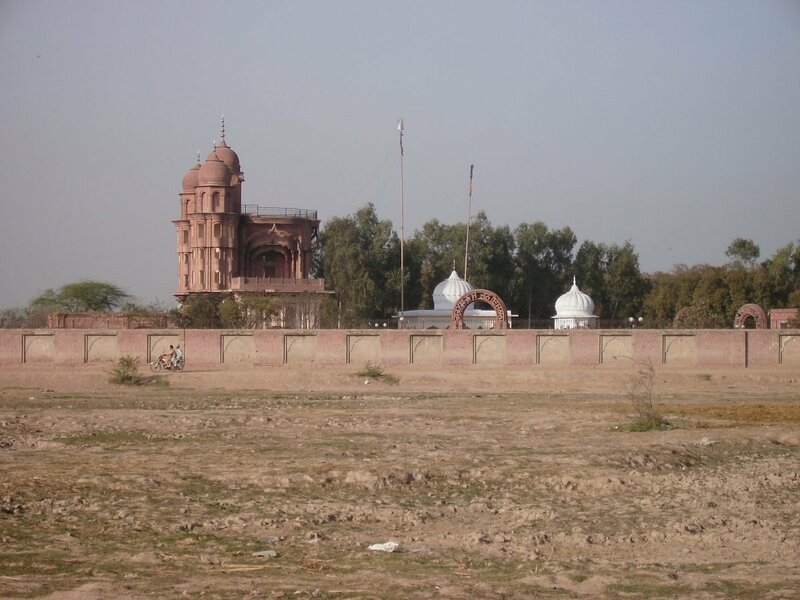 Janam Sakhis also mention that during the attack by the Mughal force the Guru was held in prison and given a stonemill to ply. 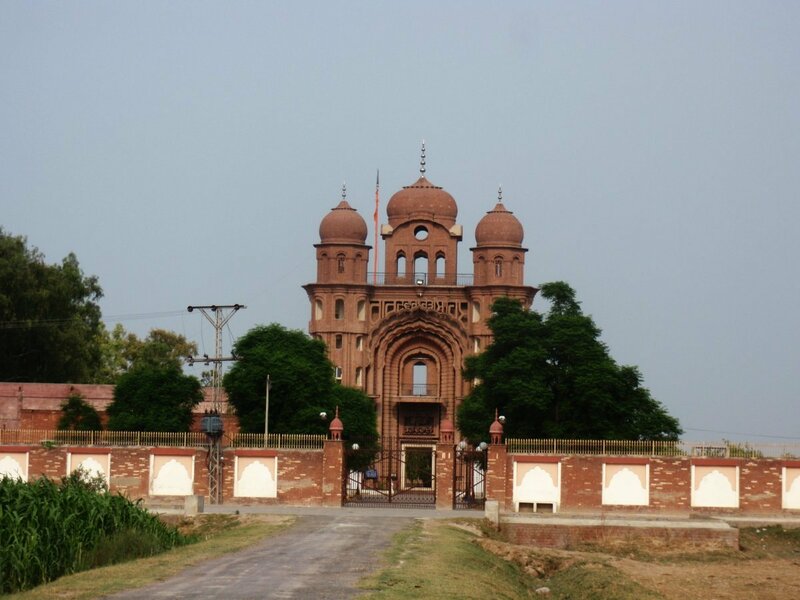 Eminabad came under Sikh rule when Sardar Charhat Singh Sukkarchakkia occupied it during the 1760's. Charat Singh was the grandfather of Maharaja Ranjit Singh. 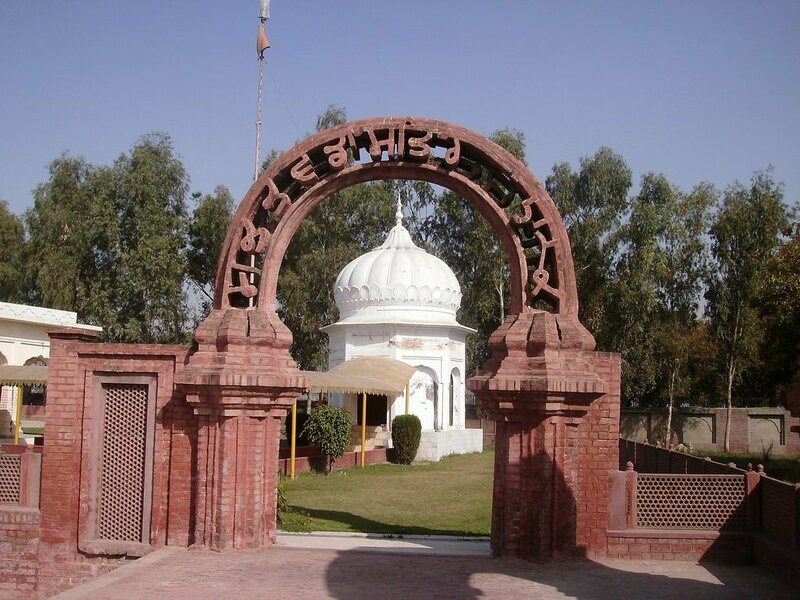 The town has important historic Gurdwaras which were administered by the Shiromam Gurdwara Parbandhak Committee since 28 February 1922 until 1947. 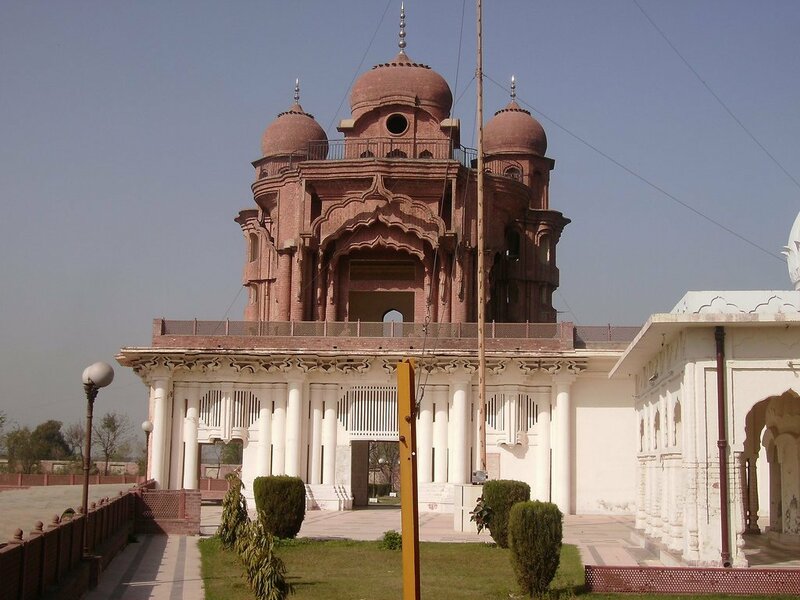 There are 3 Historic Sikh Gurdwaras at Eminabad. Gurdwara Khuhi Bhai Lalo marks the house and the well (Khuhi, in Punjabi) belonging to Bhai Lalo where Guru Nanak first met him. 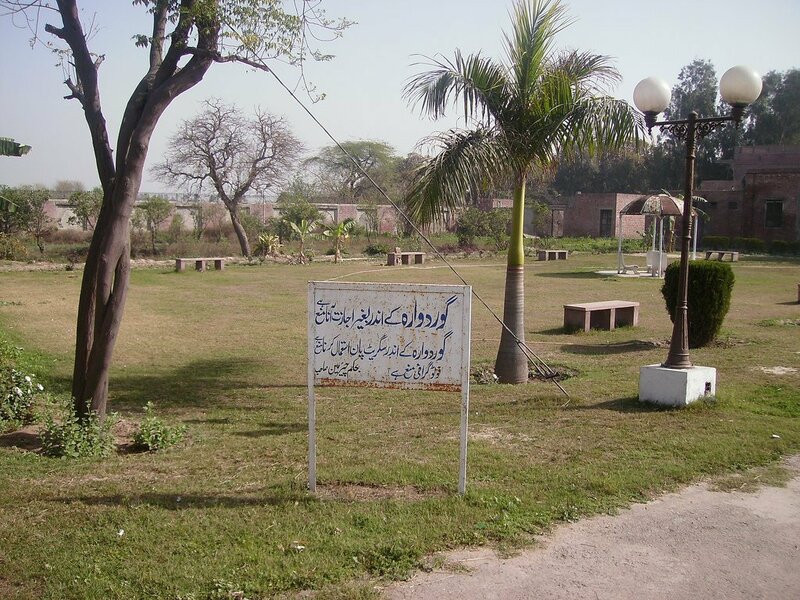 Bhai Lalo was born in 1452 at the village of Saidpur, presently known as Eminabad, in Pakistan. Bhai Lalo's father's name was Bhai Jagat Ram of the Ghataura surname belonging to the carpenter clan. Guru Nanak stayed with Bhai Lalo on several occasions. 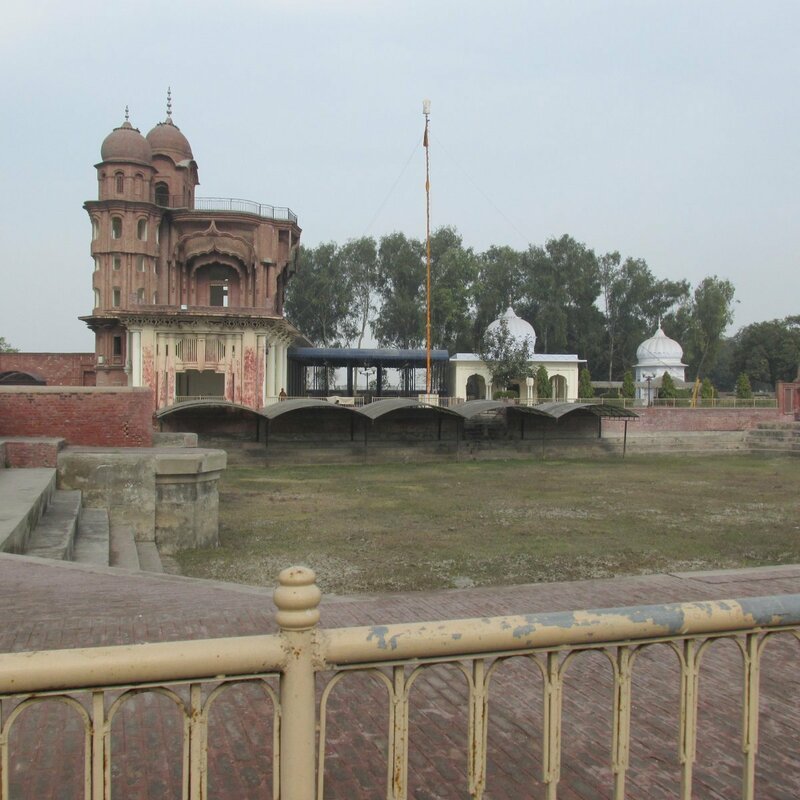 Bhai Lalo's house became a dharmsala, a meeting place for the local followers of Guru Nanak. Later the house was developed into Gurdwara which was named after the khuhi (narrow well) which existed even when the old house had crumbled. Bhai Lalo is known in Sikh history for a particularly story when Guru Nanak was visiting. When Malik Bhago, an important government official of the city, provided food for all religous holy men he invited Guru Nanak Sahib too. Guru Nanak Sahib took Malik Bhago's buttered bread in his left hand and Bhai Lalo's plain bread in his right hand. When Guru Nanak squeezed his left hand, with the Malik Bhago's buttered bread, everyone saw blood trickling from it. When Guru Nanak squeezed his right hand, the people saw drops of milk dripping from it. Guru Nanak explained that Malik's income was earned by sucking the blood of the poor people whereas the income of this carpenter had the milk earned by his hard labour. "This was the reason behind my rejection of your rich food and that was why I preferred the simple bread earned through hard labour," said the Guru. Bhai Lalo earned his living by honest work. He was born in 1452 at the village of Saidpur (now in Pakistan). When Malik Bhago, an important government official of the city, provided food for all religous holy men he invited Guru Nanak Sahib too. Another story during Guru Nanak's stay in Eminabad, where Guru Ji teaches the correct path of God to both Malik Bhago and the Khan. Bhai Lalo, was the symbol of honesty and hardwork. So according to Guru Nanak Sahib, it's better to earn a little money with honesty than to amass a huge wealth by devious and crooked means. 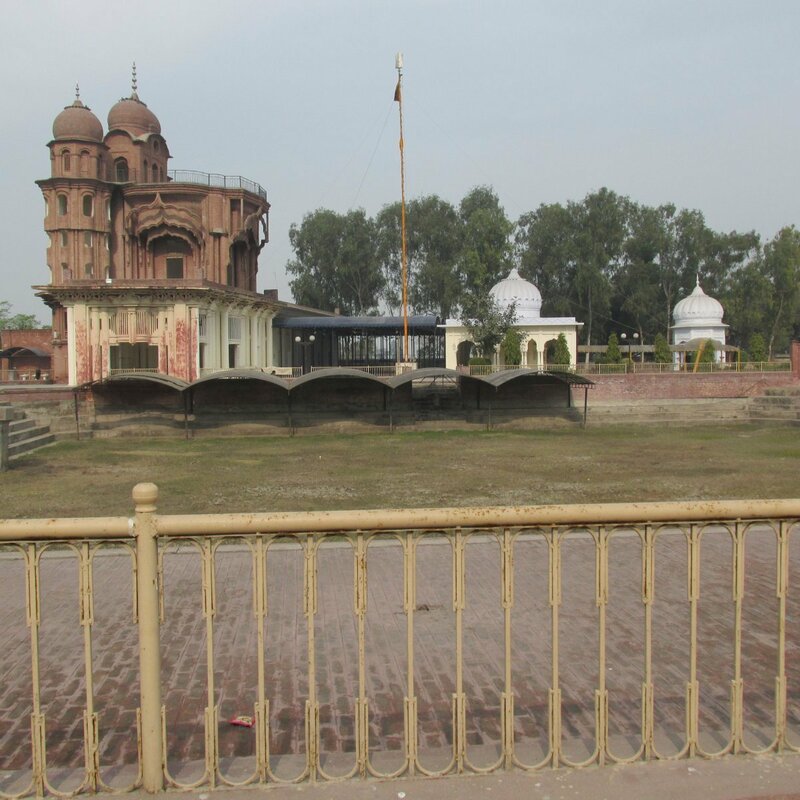 Lalo's house, where Guru Nanak Sahib Ji had stayed, was made into a Gurdwara and called Gurdwara Khuhi Bhai Lalo (the well of Lalo). The well's top (modernized) is still intact and has drinking water. 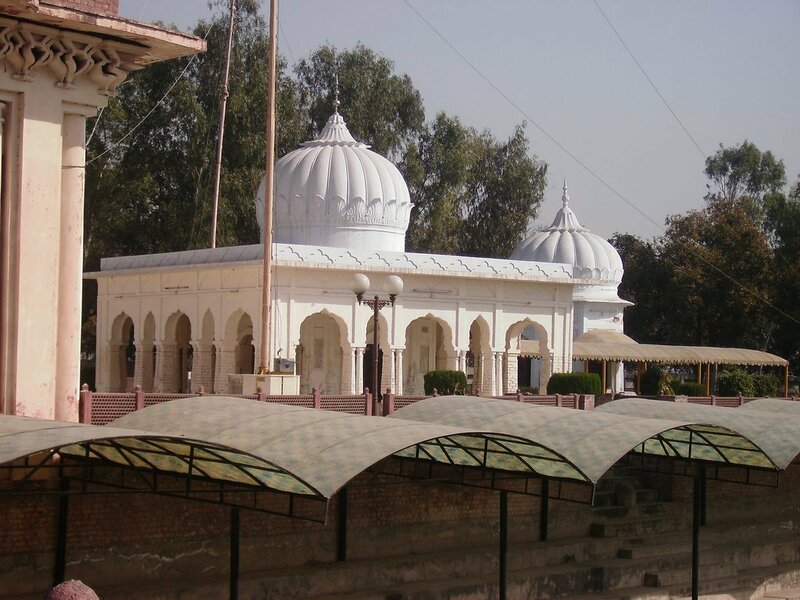 Gurdwara Sri Rori Sahib Eminabad marks the site where Guru Nanak stayed with Bhai Lalo after the destruction of the Saidpur by Babur. Here Guru Nanak had to sit and lie down on a hard bed of pebbles (small stones) (Rori in Punjabi) as alluded to in Bhai Gurdas Varan 1. 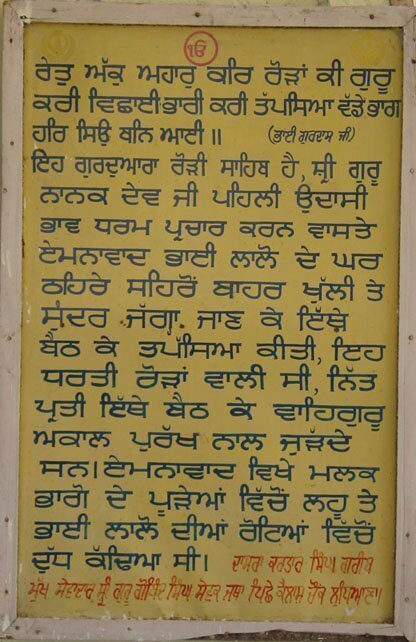 When the armies of Babar entered Punjab in 1521, Guru Nanak was present in Saidpur. 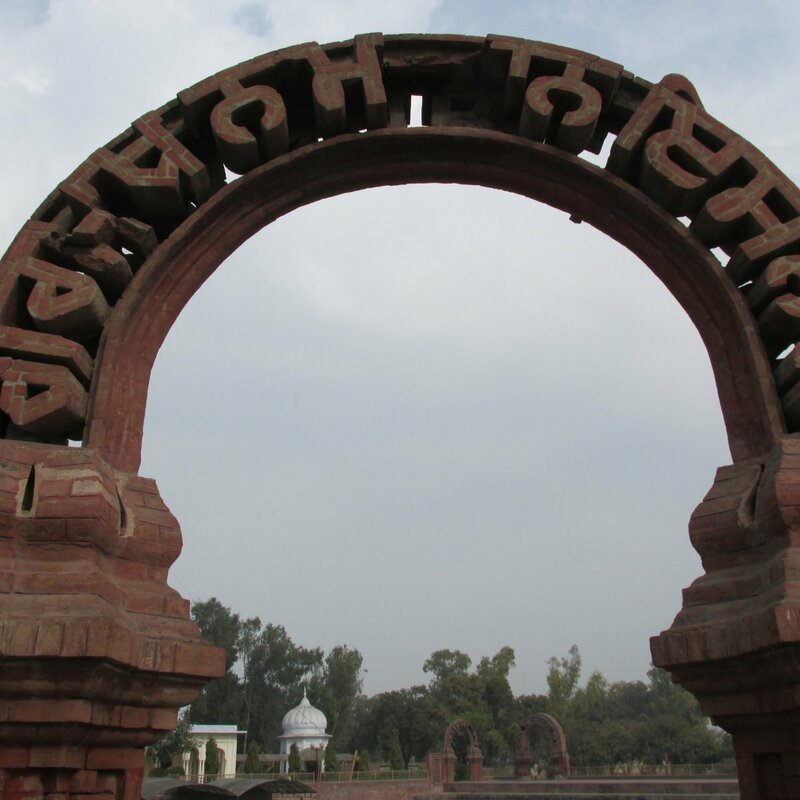 At the time of capture of Saidpur, many locals were arrested, including Guru Nanak. 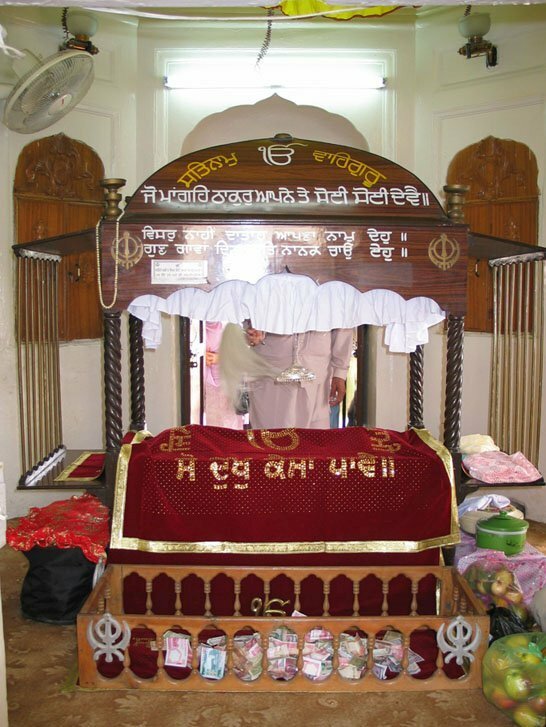 At the time of the arrest, Guru Nanak was sitting here at Gurdwara Sri Rori Sahib Eminabad on the pebbles and was praying to God. 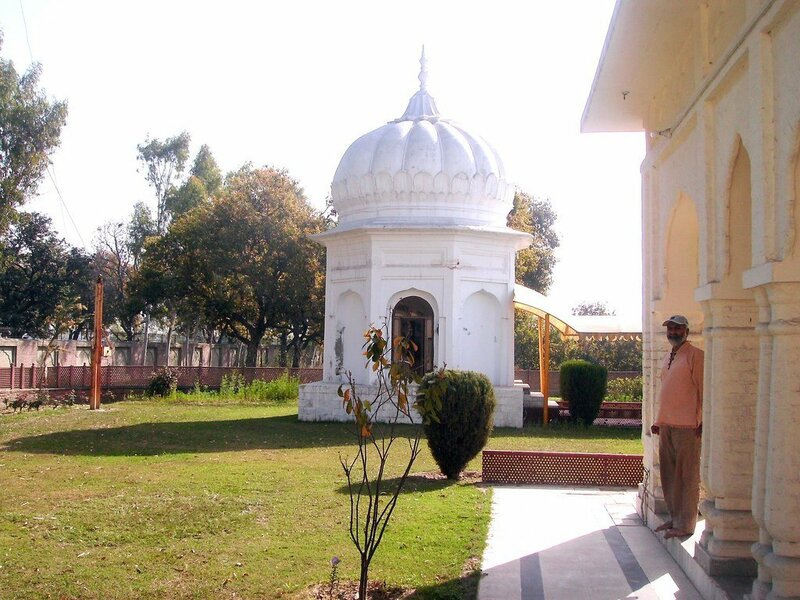 The Gurdwara stands at the place of the pebbles. 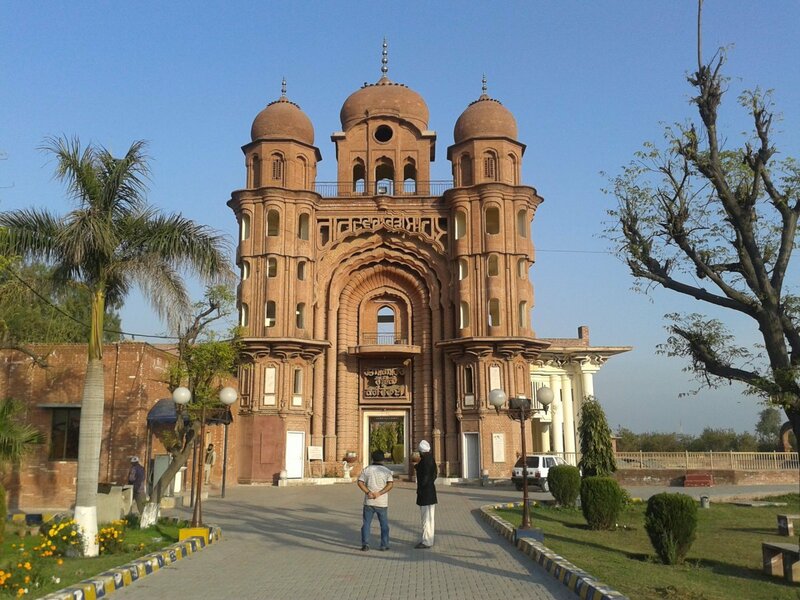 An imposing Gurdwara has been built over the place. A large pond and other buildings make it more graceful. 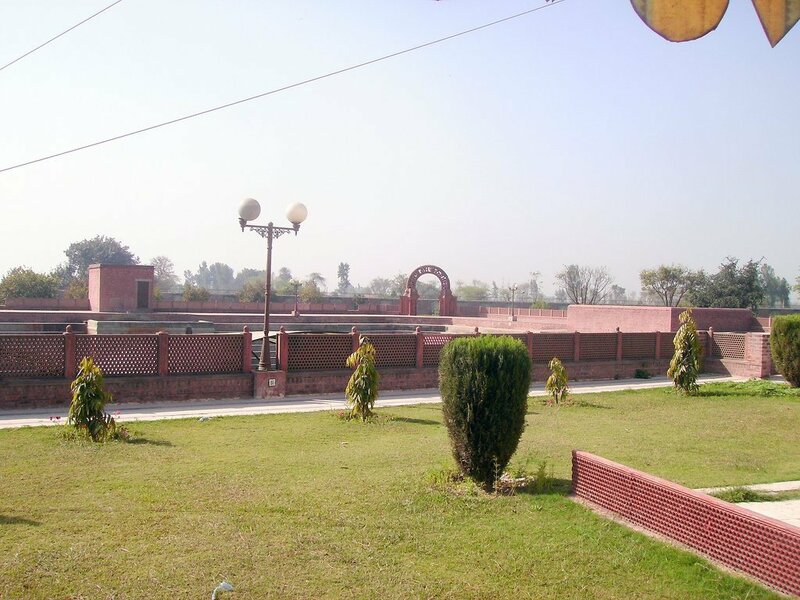 A large estate worth Rs.5000 per annum and 9 squares of agricultural land was endowed to the Gurdwara from the era of Maharaja Ranjit Singh. 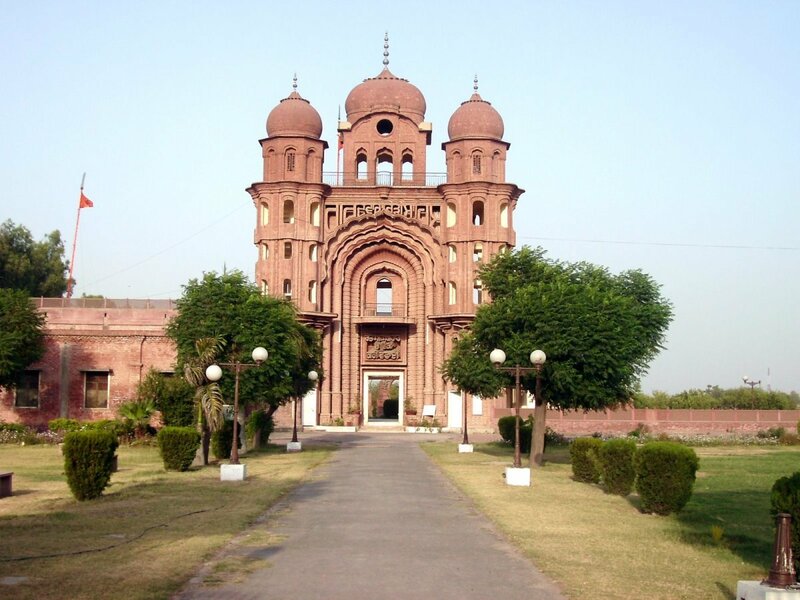 Vaisakhi and Kattak Puranmashi festivals used to be held in the past but only Vaisakhi festival is held now where people from Gujranwala and its adjoining areas participate with fanfare. This was the premier gurdwara of the town. 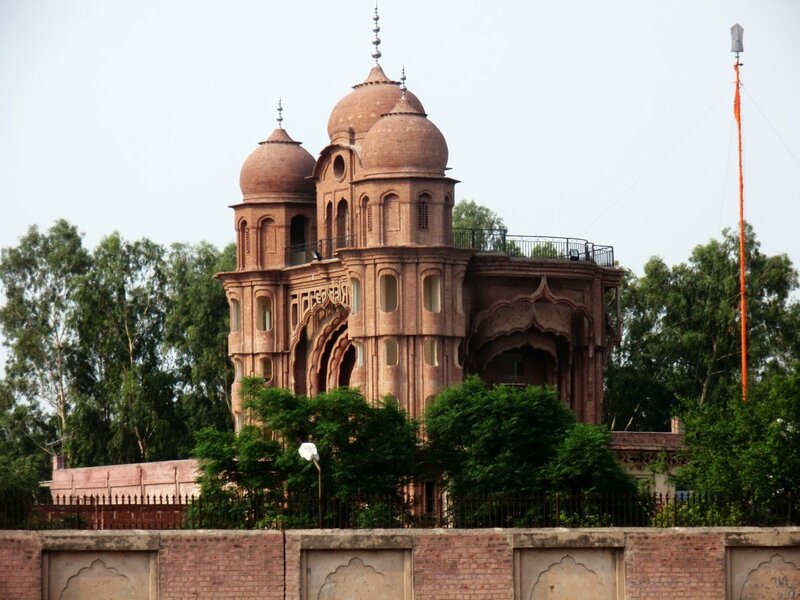 Its central building is a three-storey imposing structure of cut brick work, which is topped with three chhatri-like structures covered with a large central gumbaz (dome) with smaller chhatris (dome-shaped pavilions) on either side. A rectangular hall adjoins it on the left side of the entry. 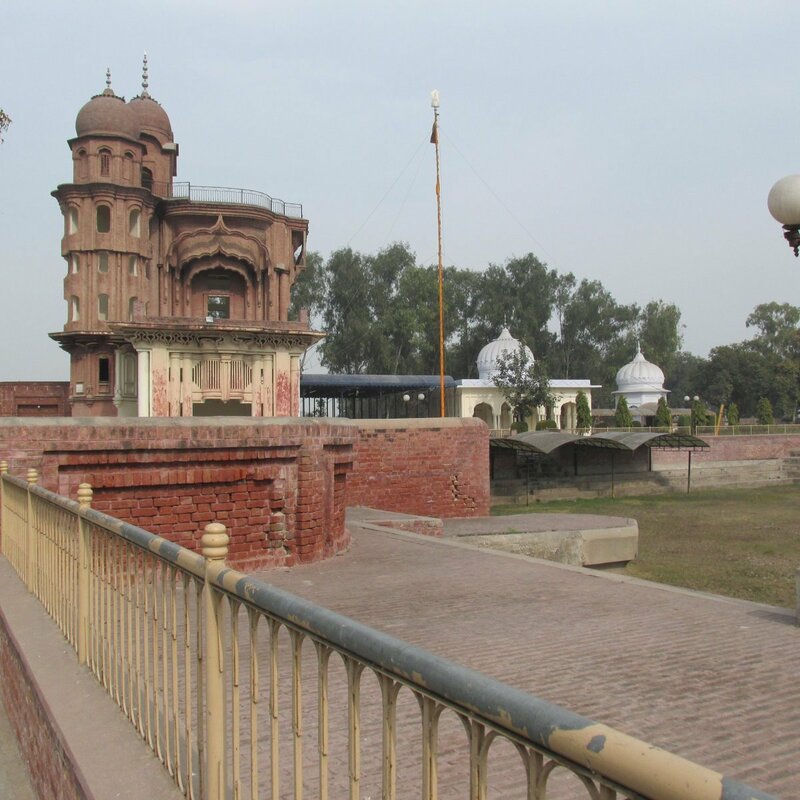 A large sarovar, surrounded with low walls on two of its sides is set askew to the right of the central entry tower. 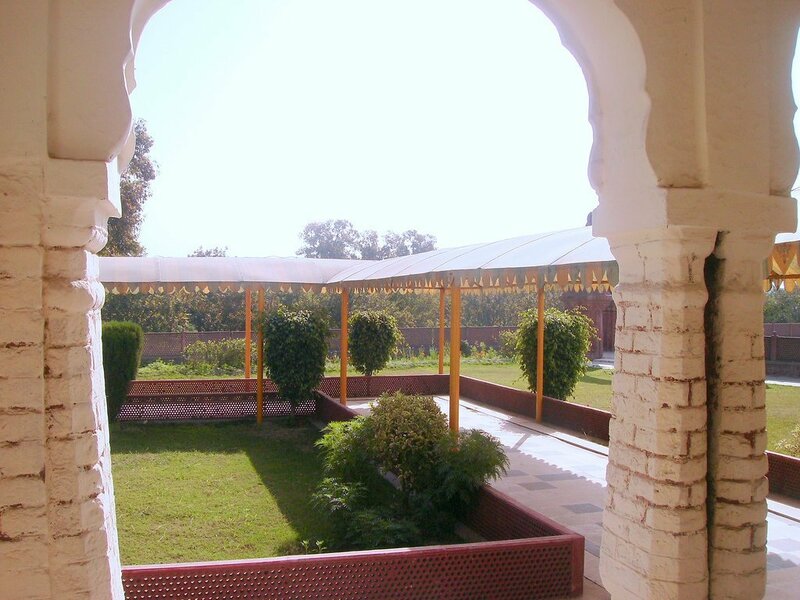 At the rear of the complex there is a room topped with a particularly exquisite ribbed white lotus dome with a circumambulatory verandah. 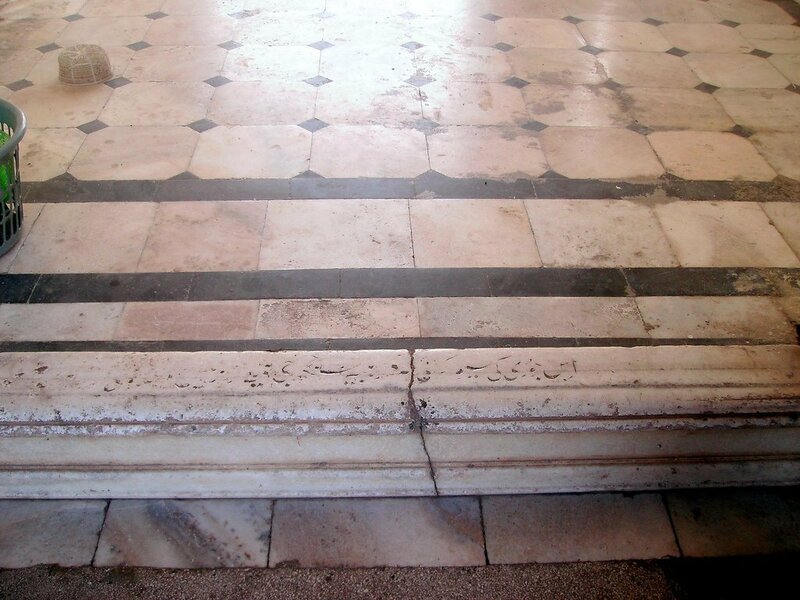 This room covers the pebbled area on which Guru Nanak was arrested. 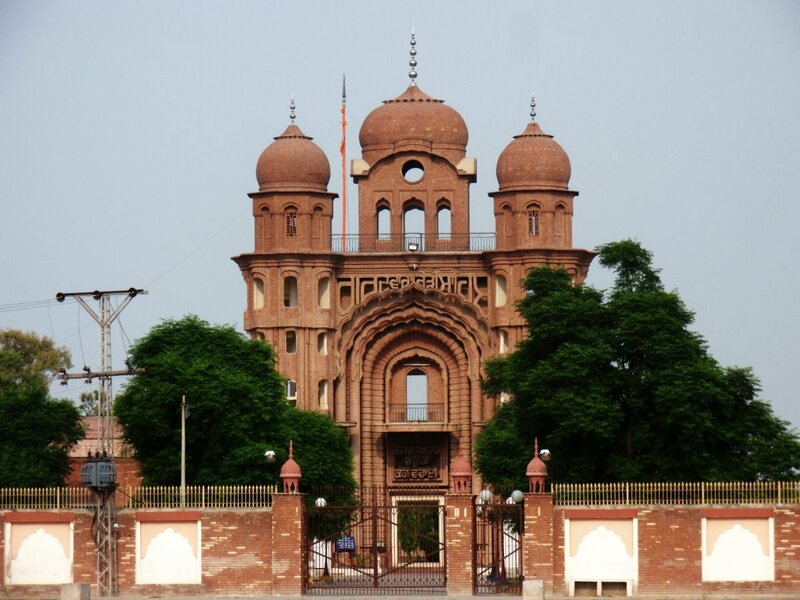 Before Partition, Eminabad was known for its week-long Vaisakhi fair which included largely attended Sangat gatherings of the Sikhs in Gurdwara Sri Rori Sahib as well as the usual fun and a cattle fair. The multi storey building was set on fire by a mob of muslim zealots soon after the partition of the Punjab on 15th August 1947. 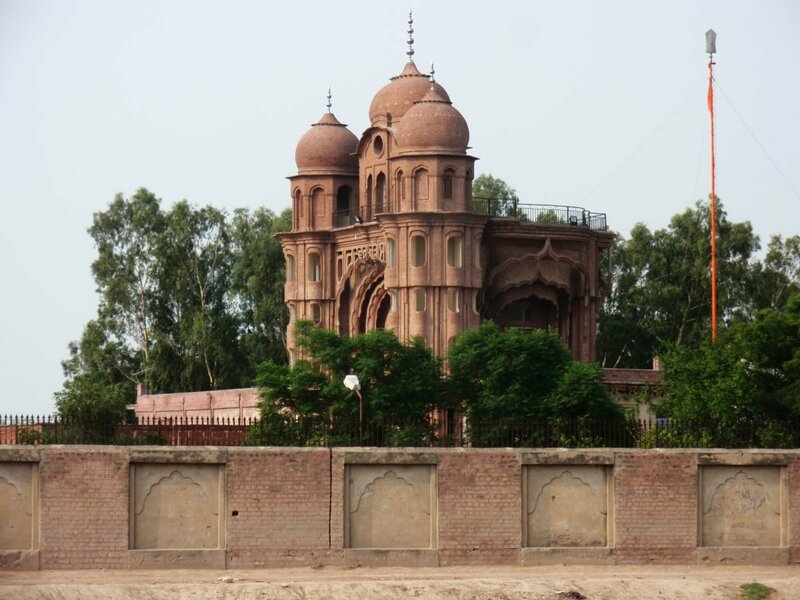 The building of the Gurdwara was falling apart but the Government of Pakistan stemmed the rot by making repairs and constructing its boundary wall. Guru Nanak and Mardana, also among the captives, were ordered to be taken to prison as slaves. 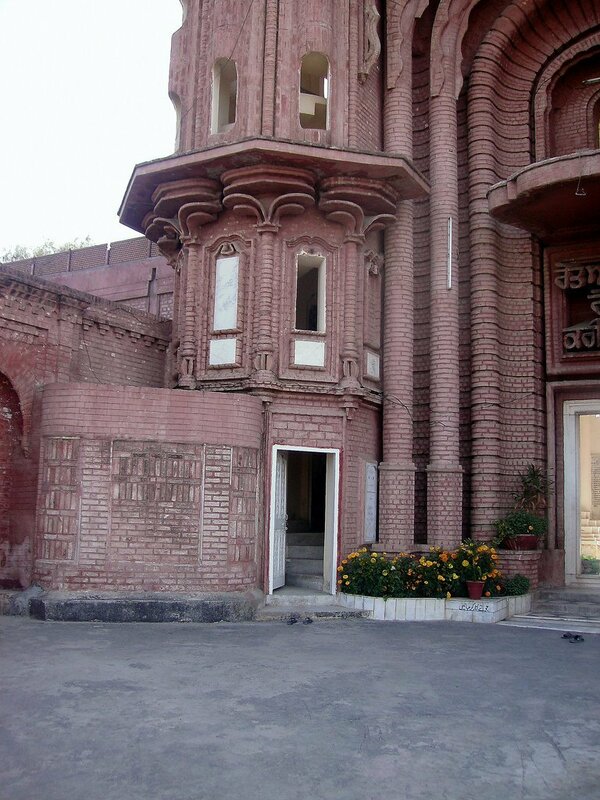 Gurdwara Sri Chakki Sahib, at Eminabad is located where a large chakki (millstone) was kept. The chakki was used by Sri Guru Nanak Sahib Ji during his detention. 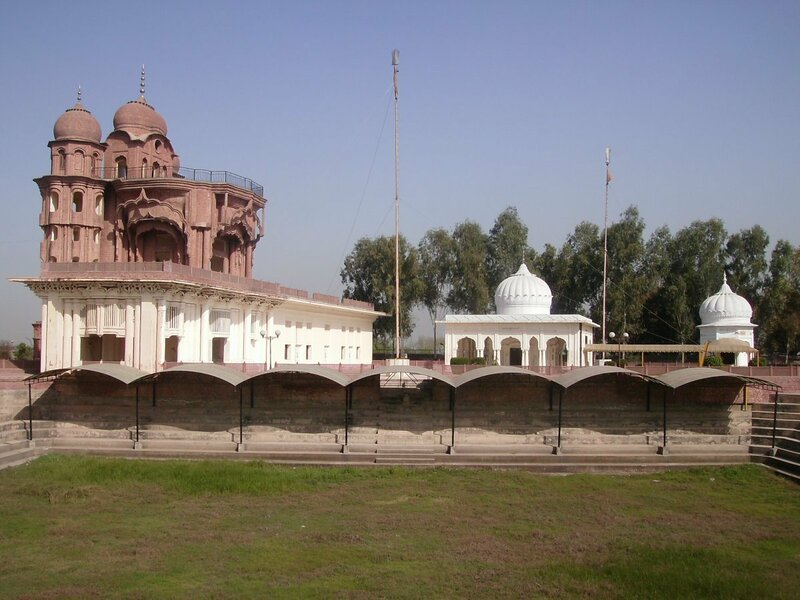 In the Janamsakhis, it is mentioned that Guru Nanak was taken as a prisoner along with thousands of his fellow countrymen by Emperor Babur's men. Guru Nanak was, along with many of his fellow prisoners, forced to grind corn with hand-driven chakki's (millstones). His captors were surprised to see that the millstone used by Guru Nanak was turning, by itself, while Guru Nanak was simply pouring grist into the opening in the stone as he sang kirtan in the remembrance of God. Guru Nanak's singing to 'One God' (the mughals as muslims also believed in One God) and, even more the stone's turning by itself amazed the mughal soldiers who brought this to the immediate attention of Babur. When the miracle was reported to Babur, he himself came to meet Guru Nanak. After talking to Guru Nanak, Babur set Guru Nanak and Bhai Mardana free. Babur also freed thousands of other prisoners too, many of whom became the Guru's followers. 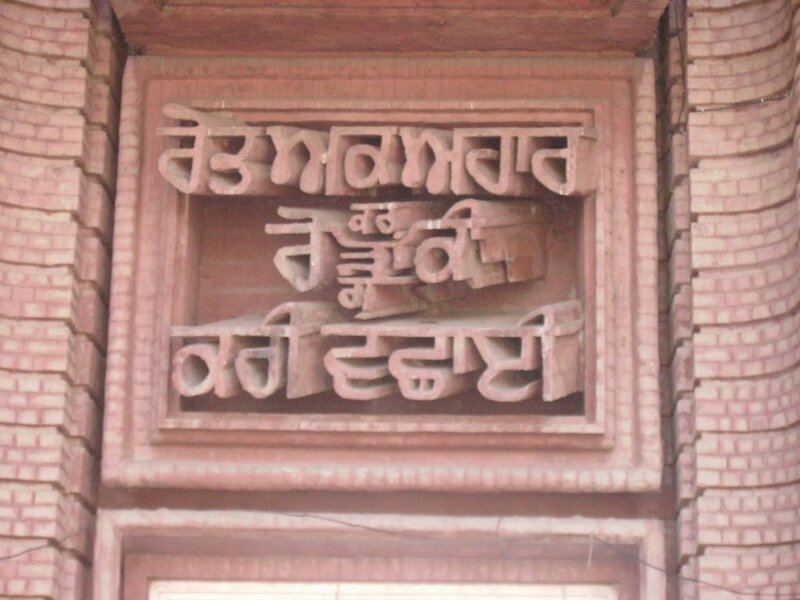 The millstone was preserved as an object of veneration and much later, a Gurdwara was established where the millstone was kept, named Gurdwara Sri Chakki Sahib Eminabad. 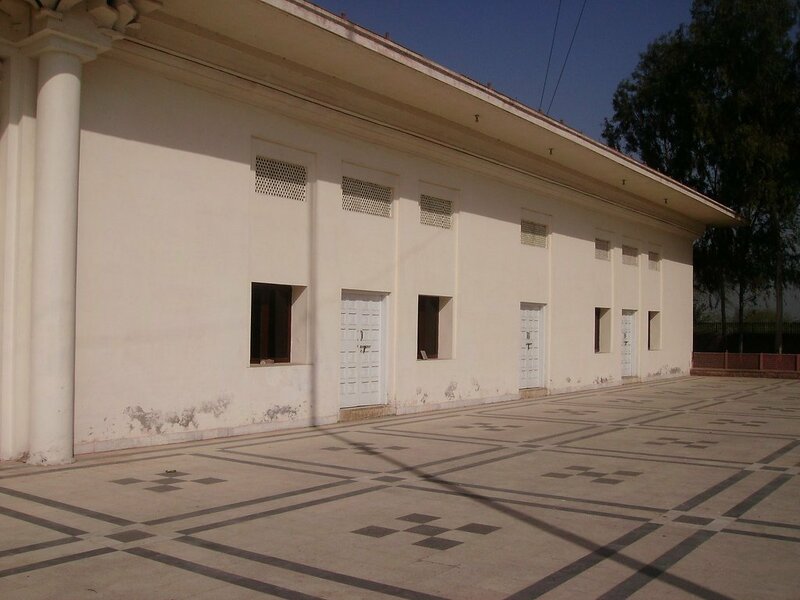 Its present building is a simple flat-roofed room with some ancillaries and a brick paved compound, inside the town. During this period (Samvat 1578) the Emperor Babur attacked Eminabad and captured Guru Ji with his companions and imprisoned them. The captured were given grinding mills and put to grinding corn to feed the mughals troops. While grinding the corn Guru Ji went into contemplation and sang the glories of God. While Guru Ji sang about the creator the grinding chakki continued to grind without any visible means of power, all who observed bowed their heads for surely they were in the presence of a great soul. This news was carried to the ears of Babur. Babur came down to the dungeons and waited until Guru Ji had finished singing. When his eyes met with the Guru's he folded his hands, bowed and begged forgiveness. Babur requested that Guru Ji accompany him to his tent. Guru Ji asked Babur to release all the prisoners as they had committed no crime, and then he accompanied Babur to his tent. The emperor offered Guru Ji refreshments but Guru Sahib replied, "My cup is full. I have drunk the cup of my Lord's love which fills me for all time." "Listen O King, go and survey the scene of destruction that has been caused by your army. Take a warning from those who have defeated others. He who is victorious today may suffer defeat tomorrow. Where are those kings who ruled here yesterday? Where are those games, those stables, those horses? Where are those bugles, those clarions? Where are those who buckled on their swords and were mighty in battle? Where are those scarlet uniforms? Where are those mirrors that reflected fair faces? Where are those houses, those mansions, those palaces? We see them no longer here. O Lord, this world is yours. In one moment, you create, in another moment, you destroy your creation." On hearing the words of the Guru, Babur remained in deep thought for a long time and then asked Guru Ji humbly "What can I do for you?" "Nothing," said the Guru "The one supreme being has himself commissioned me to spread God's message of Naam, and I enjoy God's grace and gifts. Those who forsake God and attach themselves to others lose all. God makes emperors and kings, and God turns them into dust." Babur bowed before Guru Ji and begged for counsel for a better life. "Be just to all, and never do injustice to anyone," said Guru Ji. "Never depart from the path of truth. Be merciful and forgive others as you would wish to be forgiven. Do not want that which belongs to others. Do not sow the seeds of cruelty. He who is cruel, suffers." Babur took these words to heart and from then on endeavoured to be a just ruler. Due to Guru Ji's request Babur released 11,111 other prisoners.